A list of landlocked states. Kentucky is an example of a landlocked state. A landlocked state does not touch any large water body like a gulf, bay or ocean. There are 27 landlocked states in the United States. We will outline and list these states below. Arizona is a state found in the southwestern region of the country. Out of 50 states, Arizona is the 14th most populated and the sixth largest. Phoenix is the capital city and the biggest city in Arizona. It borders New Mexico, Nevada, Utah, Mexico, and California. Southern Arizona is popular for its climate that features mild winters and hot summers. It has California blocking it from the Pacific Ocean as well as Sonora from the Gulf of California. Arkansas is found in the southeastern United States. It is home to over 3 million people. To the south, Arkansas borders Louisiana and southwestern Texas. There is Mississippi to its east which means it is not close to any gulf, bay or ocean. To get to the nearest gulf from Arkansas, you have to pass through Louisiana and Texas or Mississippi to get to the Gulf of Mexico. Kentucky is a state in south-central part of the country. 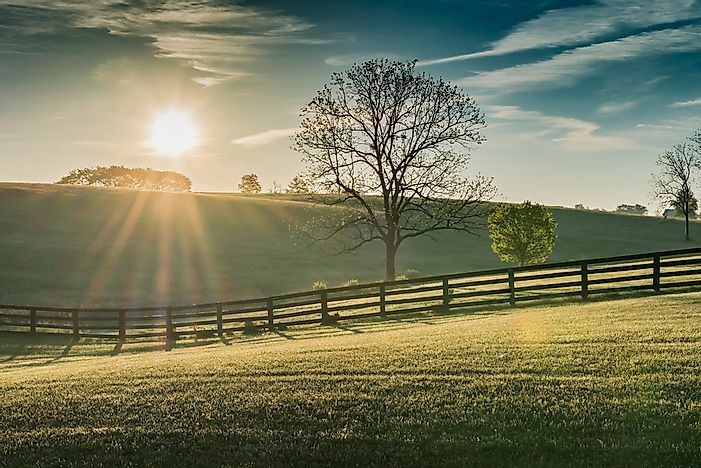 Officially, it is known as the “Commonwealth of Kentucky.” Of the 50 states that make up the US, Kentucky is the 26th most populous and 37th most extensive. It is located in the Upland South. Seven other states border it. To the east, there is West Virginia, to the southeast is Virginia, to the south there is Tennessee, Missouri borders Kentucky to the West while Indiana and Illinois border it to the northwest. To its north and northeast is Ohio. Virginia blocks its proximity to the Atlantic Ocean. Michigan is the country's 10th most populous state. The largest city in Michigan is Detroit, but its capital is Lansing. It is a state found in the United States’ Midwestern regions and the Great Lakes. From west to the east, Michigan is bordered Lake Superior, Lake Michigan, Lake Huron and Lake Erie. To the south, it is bordered by Indiana and Ohio with which they share land and water. Despite having much an abundance of shoreline, Michigan is not connected to any bay, gulf or ocean. Landlocked states do not have the advantages that come with having a coastline. One example of this advantage is the existence of a large port or docking area for ships. One exception to this disadvantage is Michigan, whose shoreline on the Great Lakes can still accommodate freight ships. Do the Atlantic Ocean and the Pacific Ocean Mix? Which Countries Are Not Members Of The World Bank? Which European Countries Are Not In The Schengen Zone?